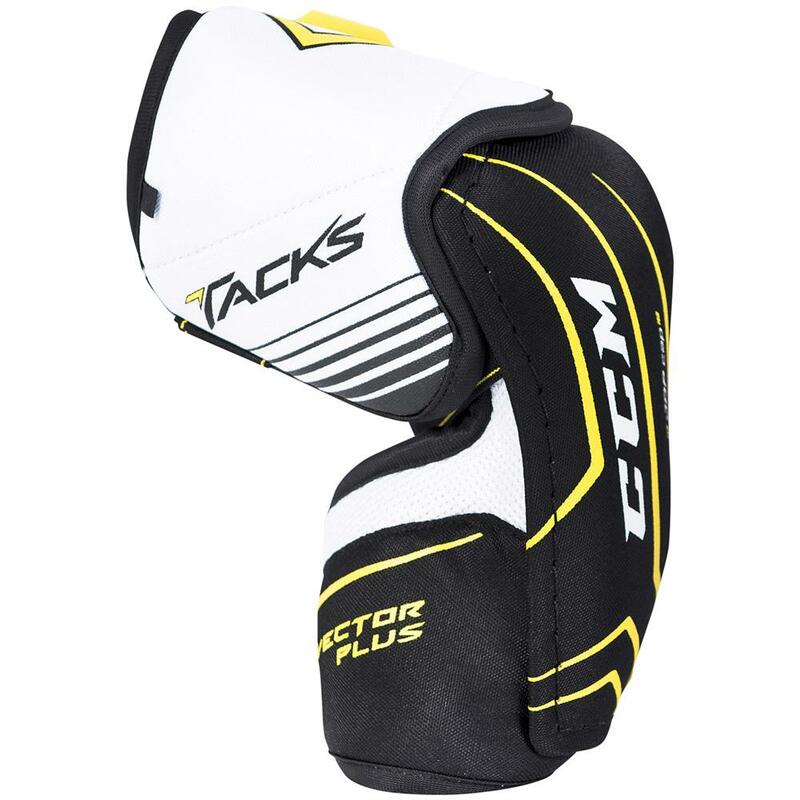 CCM Tacks Vector Plus “Exclusive” Senior Elbow Pad | Sports Etc. Give yourself upgraded protection with the Source Exclusive Vector Plus elbow pads. 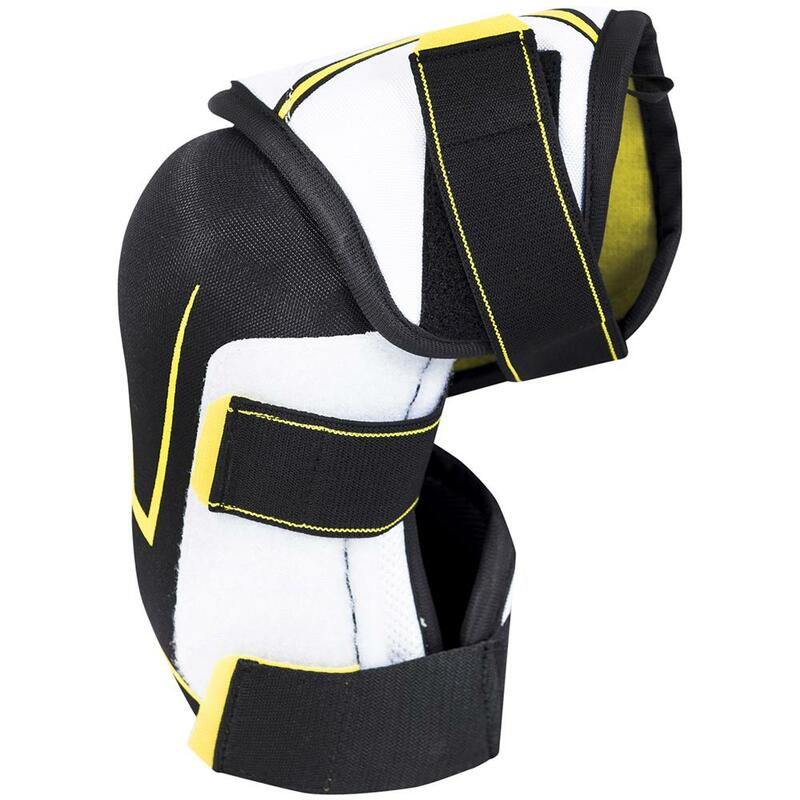 Based on the CCM 3092 elbow pads, the Source Exclusive CCM Vector Plus feature bicep protection and the bicep strap from the CCM 5092 elbow pad to deliver greater protection. 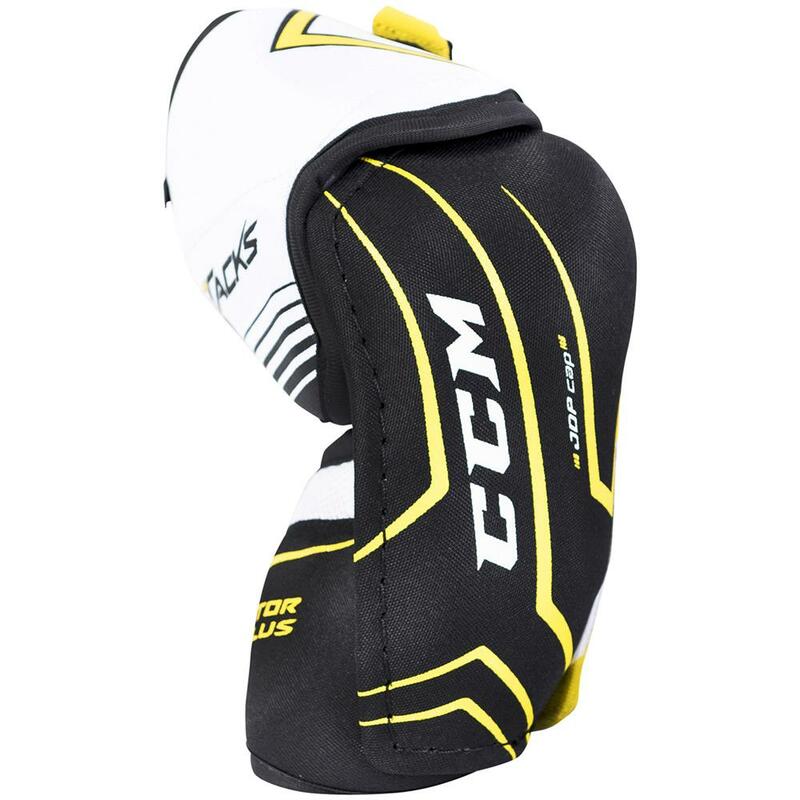 The Source Exclusive CCM Vector Plus elbow pads also include a larger 1.5” m idle strap to keep the pad secure to your arm for consistent protection. Sports Etc Performance To Value Rating– 9 out of 10. Excellent value elbow pads. High-end protection at a low-level price.